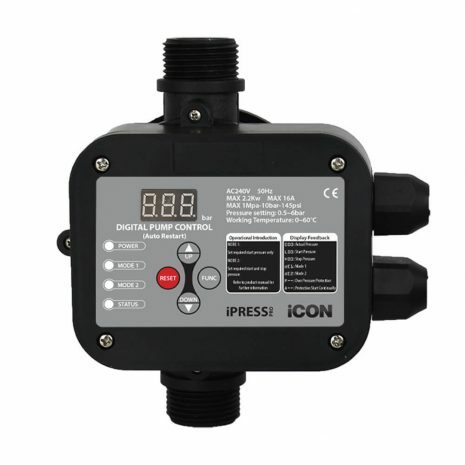 iPress Pro electronic pump controller with a fully adjustable cut in pressure of between 0.5 – 6.0bar and a cut out pressure of 0.8 – 9.8bar. Starts and stops the pump automatically when the tap is opened or closed. Maintains constant pressure from the pump. For product brochure click here.